Why using magnets, not wheels, allows this train to defy gravity and reach record speeds without an engine. The Maglev train in China does not have an engine. Instead it uses electromagnets. Magnets allow the Maglev train to levitate above the track. The Maglev train encounters less friction and so can reach greater speeds. The Maglev train can reach a top speed of 581 km/h. 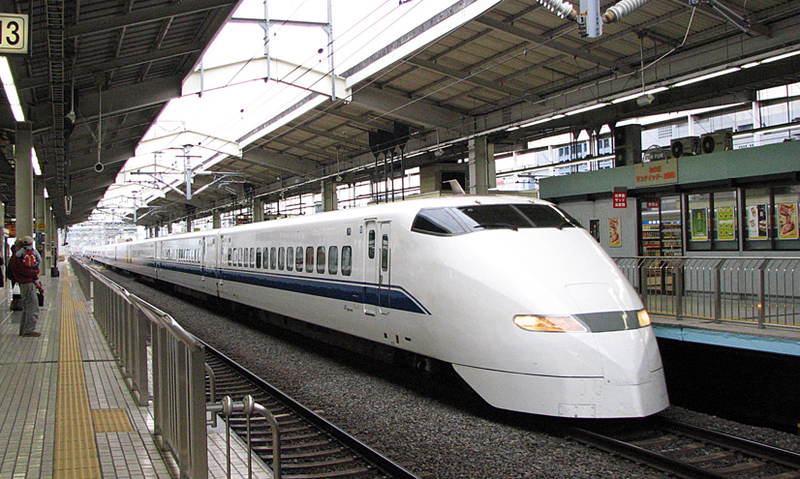 In Japan, the Shinkansen bullet train hurtles between cities. Although built for speed and comfort, this thoroughly modern train is still affected by friction. As the train is propelled forward, the wheels push against the track.